Recovering excess food and making it available to others who can use it has student groups on campuses across the country taking charge of a solvable problem. Most food “waste” is simply too much of a good thing in the wrong place. In 2011, several students at the University of Maryland, College Park, Md., noticed large amounts of prepared dining hall food not served by the conclusion of the meal ending up in the trash. By the end of that academic year, university students found a way to recover and donate approximately 30,000 meals to local nonprofit groups. The following year they reached out to a group of like-minded students at Brown University, Providence, R.I., and soon after, the two institutions joined forces to start a movement. 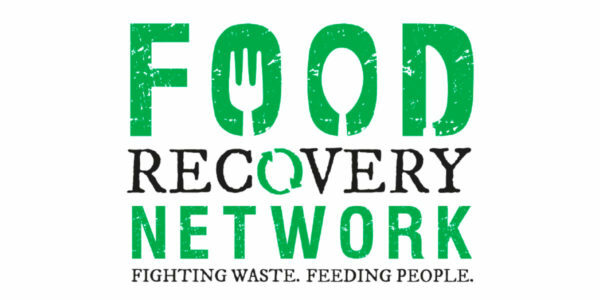 Today, Food Recovery Network (FRN) has chapters on 235 campuses in 44 states and in Washington, D.C. Setting up an FRN chapter includes securing a memorandum of understanding with the various nonprofit partners to which the campus will donate food. This includes firm agreements about what foods can be donated, how they must be packaged or processed, and the days and times that a partner agency can accept donations, says Northouse. For instance, some food banks may require that meals be delivered frozen, and only on Mondays and Fridays. “All this requires training on safe and proper food handling, and helping students think through their various checklists and compliance protocols,” says Northouse. In addition to helping strengthen the capacity of network members and providing the training and tools students need, Northouse is leading efforts to shift the perception of FRN as a college club movement to being recognized as a key player in the food recovery realm. Many FRN chapters have started looking beyond recovery efforts in their own campus dining halls and meal venues to establishing relationships with local restaurants to help process and donate their excess food, notes Northouse. One step that lends credence to this appeal to a broader base of donors is the validation process provided by Food Recovery Verified, a program of FRN that acts as a third party to confirm that a business is donating surplus food on a monthly basis to hunger-fighting nonprofits. To date, FRN chapters have collectively recovered and donated more than three million pounds of food, equivalent to more than 2.5 million meals. Northouse hopes to boost recovery efforts to one million pounds year over year by 2019. Students can and will face hurdles along the way, notes Northouse. “One of our chapters, after a long process, had finally hammered out an agreement with its campus food provider only to be confronted by the local health department stepping in to require all ingredients be listed on every donated food item due to risk of food allergens.” In this case, the campus dining vendor had become so invested in wanting to work with students in this effort that it agreed to print ingredients for every prepared food item so that leftovers could be properly labeled. At every step in the food chain, a good portion of food being wasted includes fresh produce, notes Northouse. This includes millions of tons of fruits and vegetables left to rot in farm fields for no other reason than being deemed too big, too small, or too ripe to appeal to consumers. In response, an emerging trend in food recovery that is gaining in popularity is gleaning. This essentially entails coordinating with a farm to come and pick or collect produce still in the field or available to harvest that farmers are not able to use, explains Northouse. FRN has developed a Guide to Gleaning, and a number of chapters have already established partnerships with local producers. Gleaning can provide a great hands-on educational opportunity to engage a larger group of students beyond the core FRN crew, notes Northouse. Here especially, the connection with sustainability concerns is evident. In fact, the students who are involved in FRN tend to be quite passionate about relieving hunger, or sustainability, or both, notes Northouse. “Our students are phenomenal. They live in every pocket of the country in rural, urban, and suburban locations, and they all bring a commitment to wanting to make a difference in their communities.” Recognizing the benefit of harnessing this energy, Northouse established an FRN student and alumni advisory board to continue engaging the thousands of students who have graduated and may now be working for organizations and businesses that could become part of the food recovery solution. While the primary focus of FRN has been on recovery and donation of food to outside agencies, more chapters are also exploring how they can be part of the solution related to food insecurity challenges on their own campuses. The network’s annual conference now includes an educational track related to campus food pantries and food assistance initiatives, notes Northouse. While gleaning efforts offer a relatively seamless opportunity to provide direct food assistance to students, making available leftover prepared foods can be tricky, in part because of food safety regulations, she adds. Campuses are looking at options that would work at their institutions and sharing their ideas across the network. For instance, Northouse is aware of at least one FRN chapter that hosts a free lunch cafe every Wednesday where leftover food is made available on campus within restricted hours to adhere to safety concerns. For institutions that want to quantify the impact of their campus food recovery efforts, there are different ways to calculate savings, notes Northouse. You can track pounds of food recovered and donated. You can also track financial savings—what you don’t overproduce in your dining hall as well as what you don’t pay in landfill fees to throw surplus food away. “Beyond making food recovery the norm and not the exception, another major aim for our network is a stronger focus on prevention,” says Northouse. In fact, many FRN student groups get started by collecting data about food waste in their campus dining halls so that they can work with vendors to bring food production more in line with actual need on a daily basis. Northouse is also excited about more efforts taking place in the classroom to curtail waste. She points to culinary schools like Drexel University’s Food Lab partnering with an initiative by the James Beard Foundation to develop food waste-reduction training programs for future chefs at technical schools, community colleges, and four-year institutions. The focus for a back-to-basics approach to food preparation that drives efficiency and creativity to maximize use of ingredients could go a long way to reducing waste in an industry often rife with overproduction, notes Northouse. For its part, FRN is taking every opportunity to help recover and redirect good food so that it doesn’t go to waste. In spring 2017, the network joined forces with Move for Hunger to collect nonperishable food items left in students’ dorm rooms on move-out day at five college campuses. The one-day effort salvaged more than 5,000 pounds of food, or about 4,000 meals. The lasting impact of student efforts through FRN is likewise evident in the cumulative positive reviews by partner agencies. According to FRN’s 2017 Annual Report, the average dollar value of FRN donations per agency was $8,664 for the year. These same partner agencies reported saving time (80.9 percent) and money (81.7 percent) by accepting FRN donations, while 91.3 percent said working with FRN provided a meaningful connection to college students. Decreasing food waste at the source and fighting hunger at the local level are the primary aims of this national student-led movement. FRN is taking every opportunity to help recover and redirect good food so that it doesn’t go to waste. 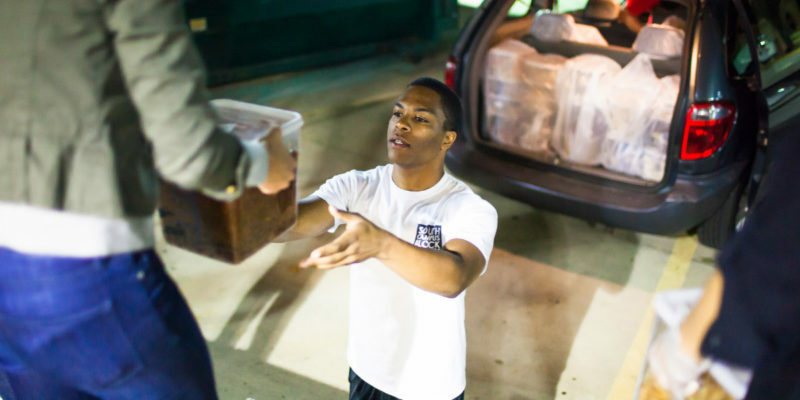 Food Recovery Network unites students on college campuses to fight food waste and hunger by recovering perishable food that would otherwise go to waste and donating it to people in need. To date, FRN chapters have collectively recovered and donated more than three million pounds of food, equivalent to more than 2.5 million meals. According to the 2016 report, A Roadmap to Reduce U.S. Food Waste by 20 Percent, published by ReFED (Rethink Food Waste Through Economics and Data), American businesses, consumers, and farmers annually spend about 1.3 percent of GDP—$218 billion—growing, processing, transporting, and then ultimately disposing of 52 million tons of food in landfills. Another 10 million tons of mostly perishables are left unharvested in farm fields. Another way to quantify that waste is what else gets lost in the process—namely, 21 percent of that waste is freshwater and 19 percent is fertilizer. Meanwhile, production of that wasted food ties up 18 percent of arable cropland and fills 21 percent of landfill volume. This, while an estimated one in seven Americans is food insecure. While the report suggests a goal of reducing waste by 20 percent during the next decade, it provides suggested initiatives and policies for reductions of 50 percent by 2030. 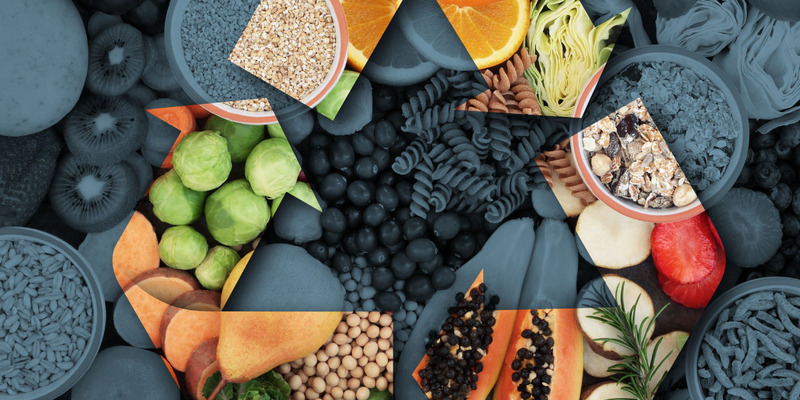 In fact, recovering 30 percent of our nation’s food waste and redirecting it to those who need it could essentially eliminate hunger for the 42 million Americans who are food insecure. That’s the assertion of an October 2017 waste baseline assessment by the Natural Resources Defense Council (NRDC), which takes a deep dive into dissecting the residential and nonresidential food waste in three cities: Nashville, Denver, and New York City. Estimating Quantities and Types of Food Waste at the City Level provides a sobering view of food-related waste in the United States, suggesting that as much as 40 percent of edible food in this country goes uneaten. While more than half (58 percent) of those surveyed said that they feel less guilty about wasting food if they know it is composted, that misses a crucial point of the Environmental Protection Agency’s Food Recovery Hierarchy. It ranks composting as above only landfill incineration in preferred actions. Topping the list is source reduction—reducing overproduction—followed by recovery to feed hungry people through food donations. One bright lining in the NRDC assessment is the estimated food waste generated by sector, showing colleges and universities as accounting for only 2 percent or less of the food waste in these three cities. At the same time, restaurants and caterers were shown to generate between 20 percent (New York City) and 34 percent (Nashville) of all food waste. That suggests plenty of partnership opportunities for groups such as Food Recovery Network to assist local restaurants with redirecting surplus food to those who need it.